Peda: Peda, Pheda or Pera is a sweet from the Indian subcontinent, usually prepared in thick, semi-soft pieces. The main ingredients are khoa, sugar and traditional flavorings, including cardamom seeds, pistachio nuts and saffron. The colour varies from a creamy white to a caramel colour. 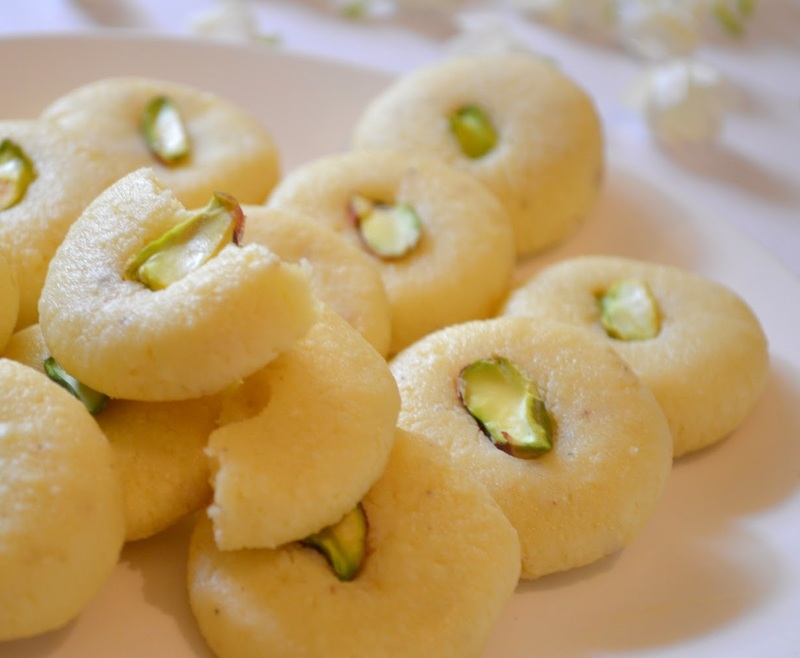 Origin of peda is credited to the Indian state of Uttar Pradesh, and the variety from the city of Mathura in that state was considered to be the best. Combine the condensed milk and milk powder, in a wide non stick pan. Mix it into a smooth paste without any lumps. The condensed milk and milk powder should be like a thick idli batter. Mix well, to make a homogeneous mixture. Stir continuously, until the mixture becomes thicker. Turn off the heat as soon as the mixture thickens and starts leaving the sides of the pan. Note: The process will be a little hard, as the mixture will thicken up quickly. The mixture will thicken further when it is cooling down. Transfer the peda dough into a bowl. Cool the peda dough till the mixture is hot enough to handle with your hands. Use your hands to knead the peda dough, until smooth and fluffy. Note: You can add a little ghee to knead if the peda’s are too hard. Press each ball lightly between the palms, to make a semi-flat peda. Make an impression with the thumb in the center. Place a piece of pistachio in the center of the peda. Peda’s are ready to be served. Serve the peda’s at room temperature. If you have any queries regarding the Peda recipe, please leave a comment.